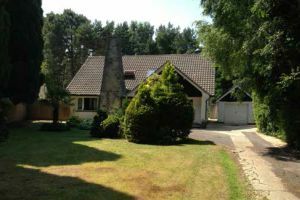 East Dorset District Council: Pure Town Planning’s winning streak continues… We have recently secured planning permission for substantial extensions and a total remodel which will transform an existing house on Golf Links Road, a Special Character Area in Ferndown, Dorset beyond all recognition. 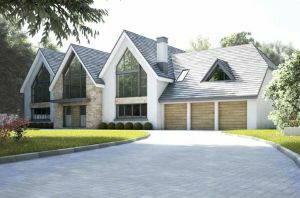 The approved scheme transforms the existing 3-bed chalet bungalow into a large two storey, 5-bedroom (all with en-suites), 7-reception room family house with an integral triple garage. Due to the contentious nature of the application – the sheer size of the proposed dwelling in this Special Character area Pure Town Planning were called in to put forward and execute a comprehensive planning strategy in order to achieve the goals of the client. Because the site fell within a Special Character area, particular consideration had to be given to the sixteen development criteria which are set out in East Dorset District Council’s adopted Planning Guidance document. Pure Town Planning successfully convinced the Urban Design/Conservation officer that the scheme would comply with the development criteria for this area and that the chosen contemporary architectural style was appropriate in this location. The bespoke design was prepared by local architect; Tony Holt Design who tailored the scale, layout and appearance of the scheme to fit with the context of the site whilst achieving the high level of floor space set out in the client’s brief. Whilst the resultant property was unashamedly larger (wider, longer and taller) than the existing house on the site, because of constant contact with the planning officer at East Dorset District Council we were able to quickly convince the planners that the proposal was acceptable. If you are experiencing planning difficulties and would like a firm of planning consultants to push your dream home through the planning system then contact Matt, Dan or Neil in confidence on 01202 585524 or email us at info@puretownplanning.co.uk for a free no obligation planning consultation.